Hand dyed SW Merino DK yarn for your most beautiful knitting and crocheting projects. This kettle dyed, contrast-splash yarn will give your creations the tonal, complex depth of color that only high-quality, artisan yarn can! 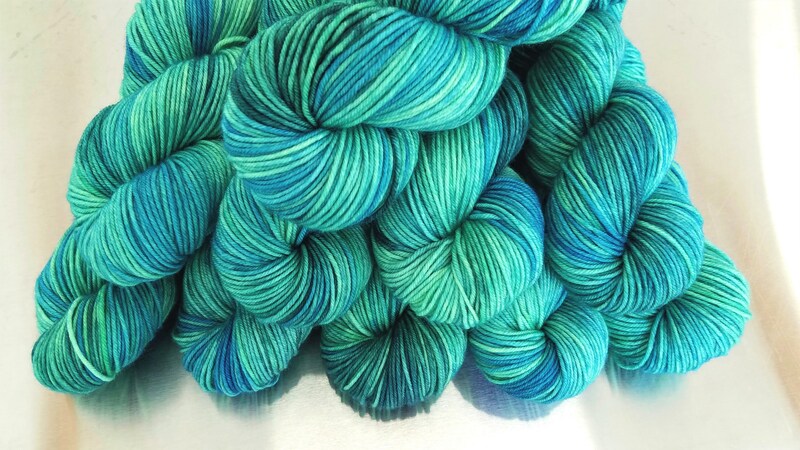 Waterlust is a Limited Run colorway of watery blues and greens in high contrast splashes.